There are two asphalt tennis courts at Camp Nominingue. Campers use the courts during instruction as well as at free swim in the morning and afternoon. 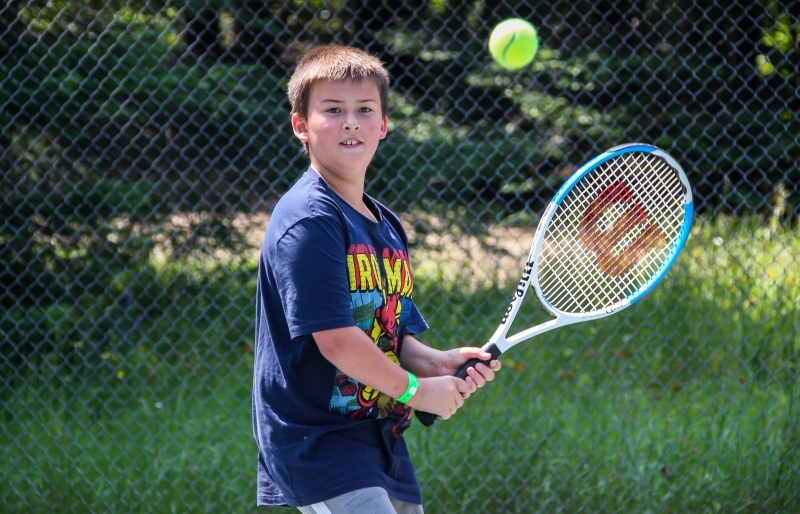 In tennis instruction, campers learn and practise their strokes – forehand, backhand, lob, smash and serve. As their skill improves, they are introduced to scoring, tennis etiquette and strategy, learning to apply all of their skills in a match.